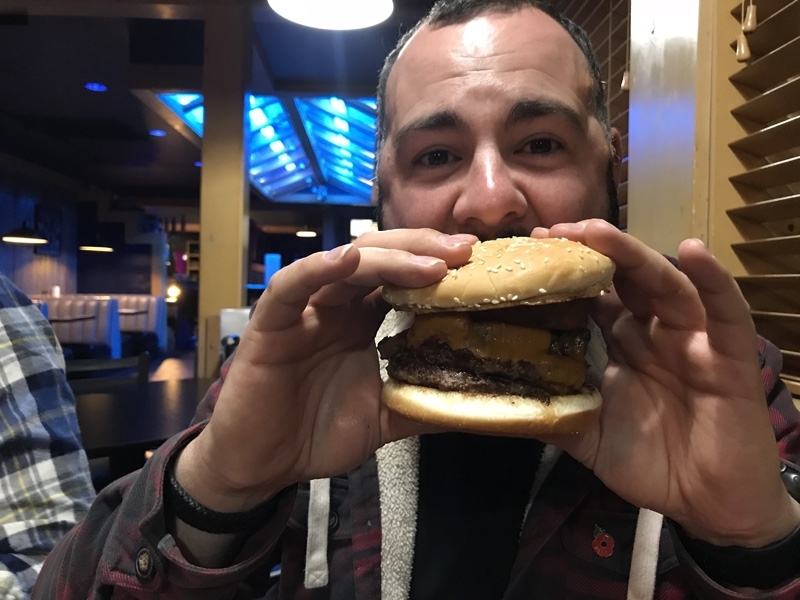 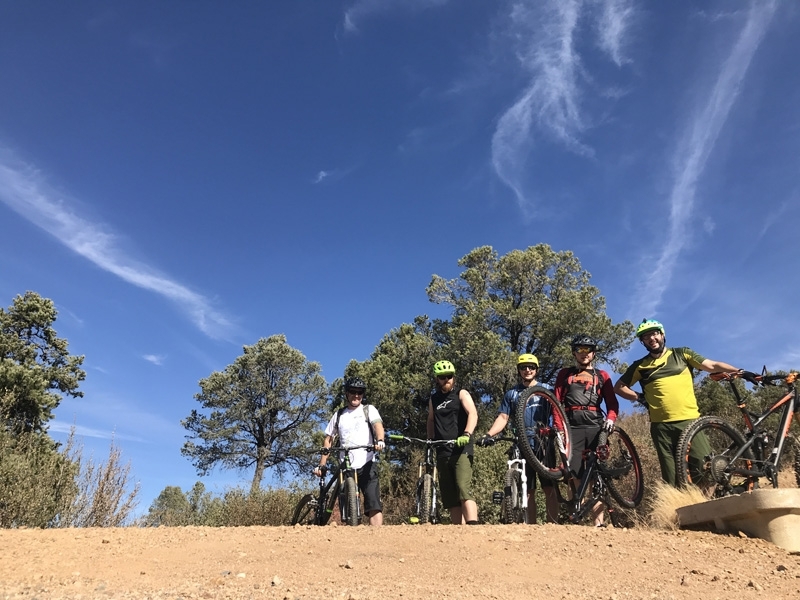 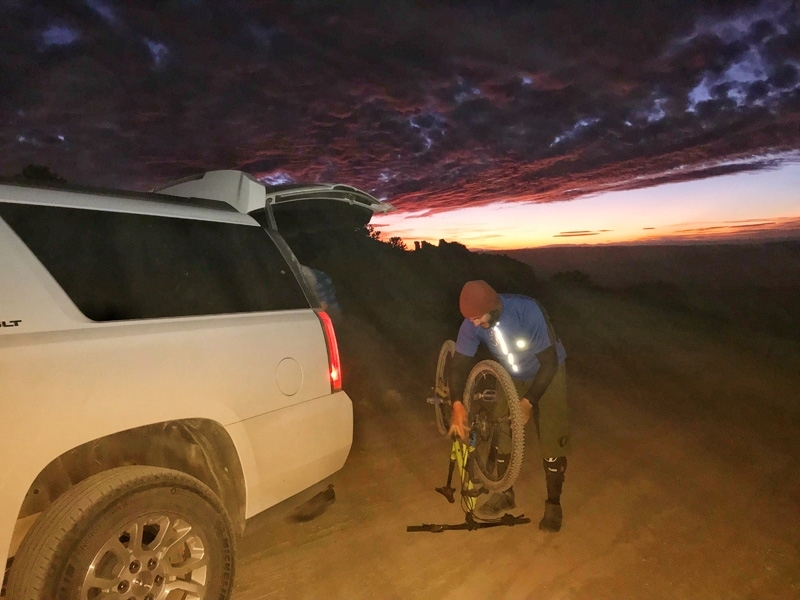 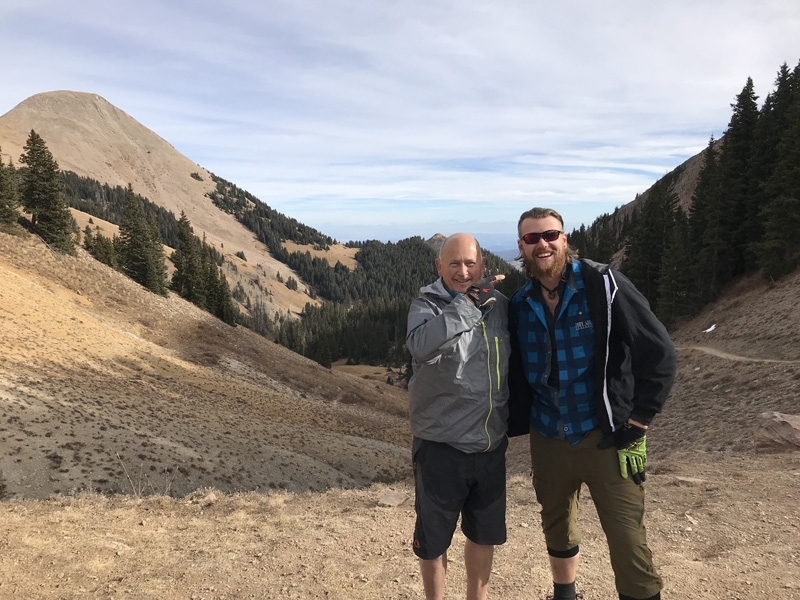 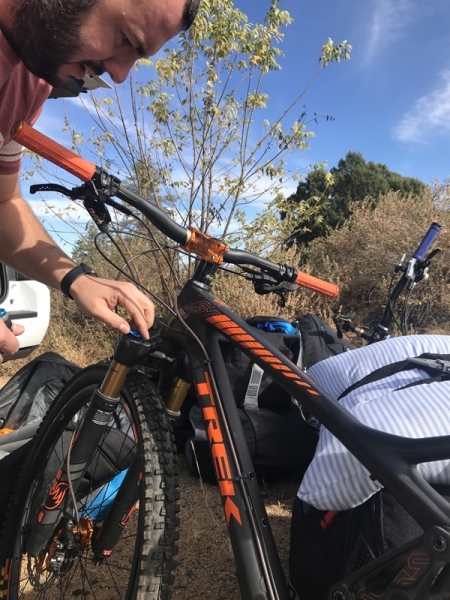 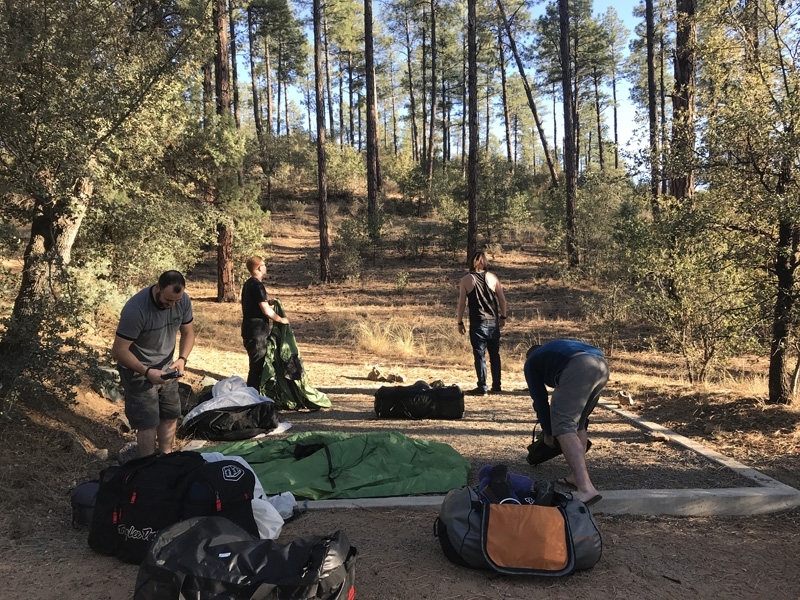 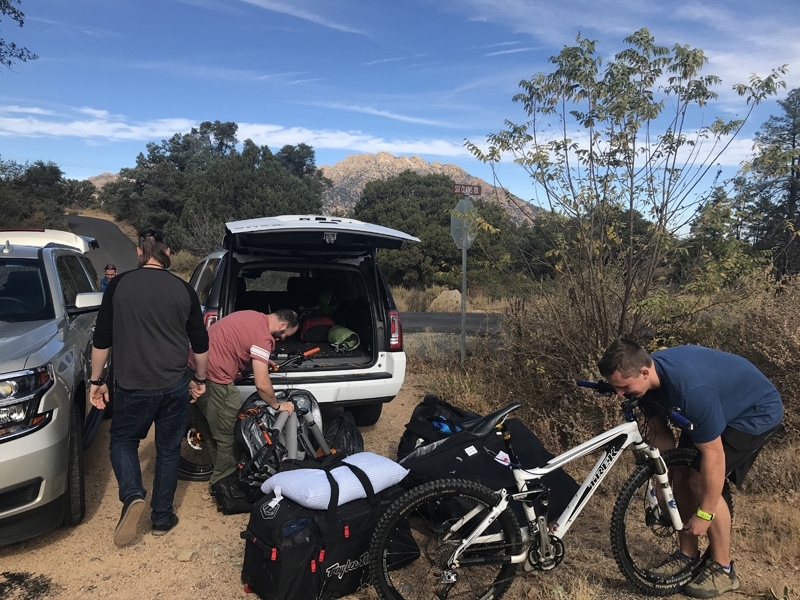 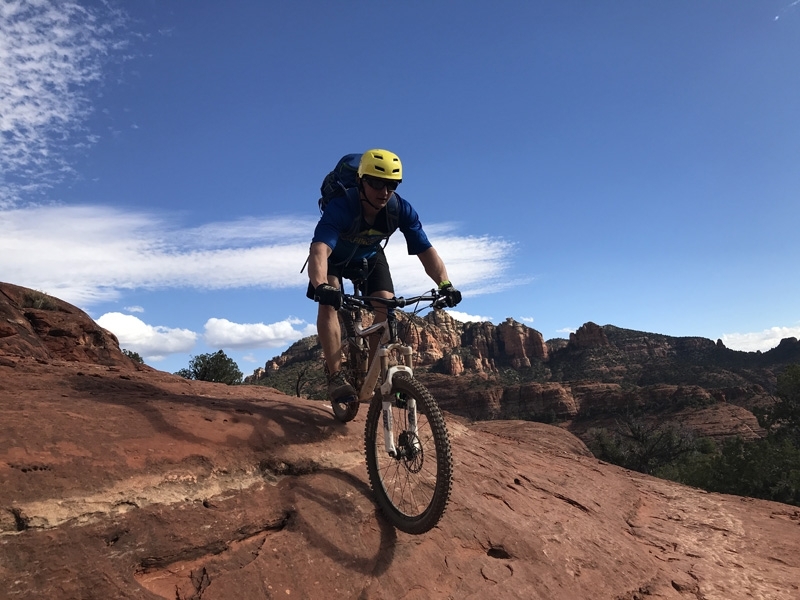 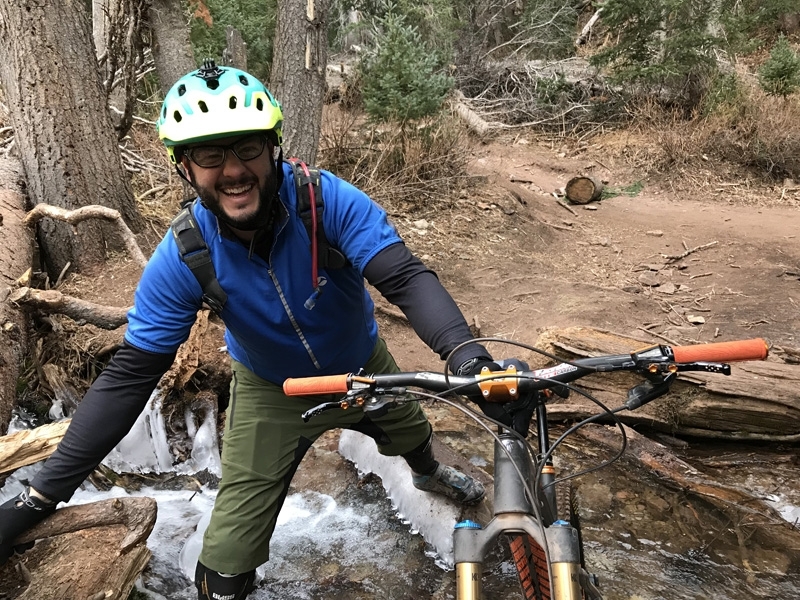 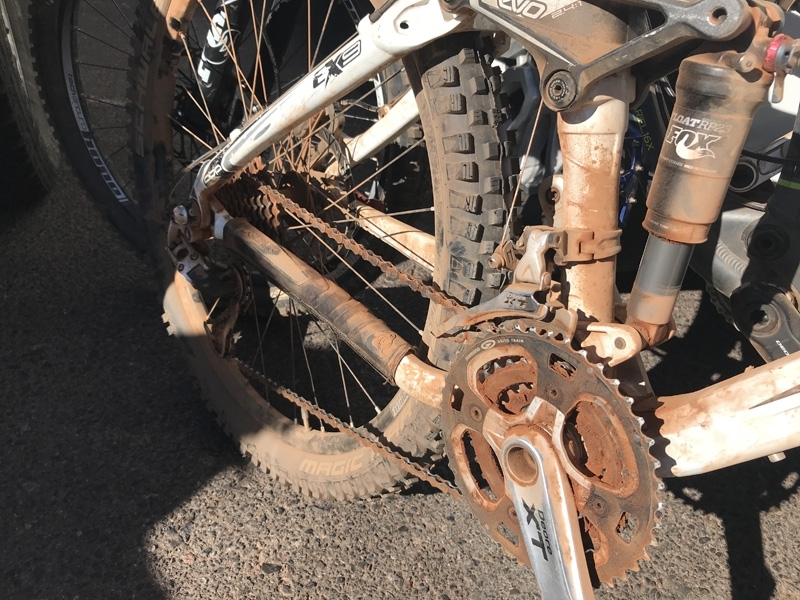 Last autumn TrekCo staff went on several trips to aid staff development and their outdoor experience – most notably a trek to Everest Base Camp, and a mountain biking and climbing trip to Utah and California. 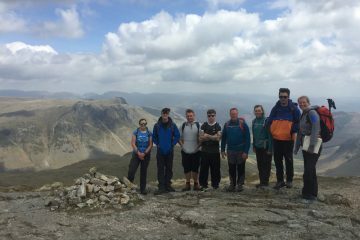 At TrekCo we pride ourselves on the quality, friendliness and experience of our instructors and this programme of trips is important to you, the customer. 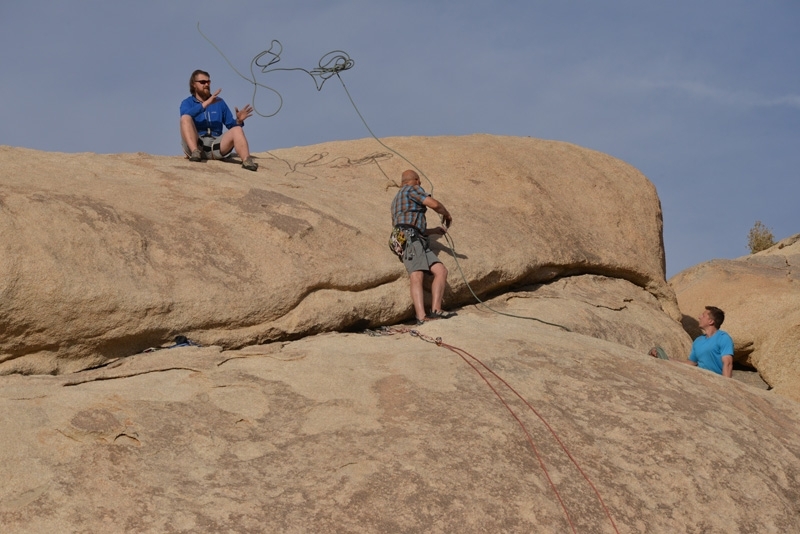 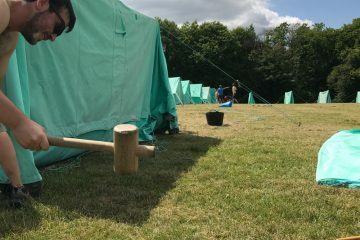 Staff who are more experienced in a wide range of outdoor situations make for better, calmer and more competent instructors! 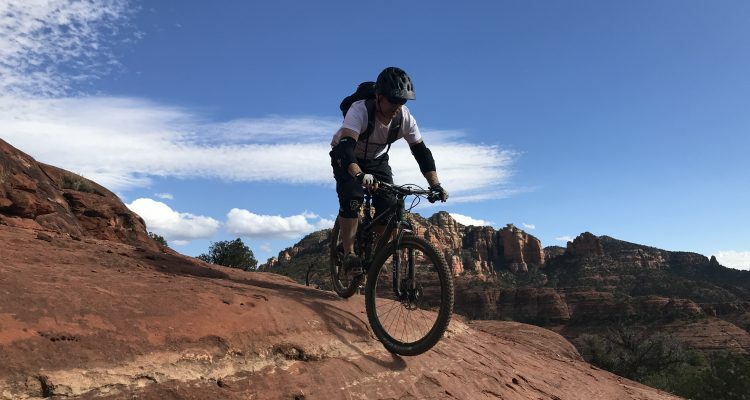 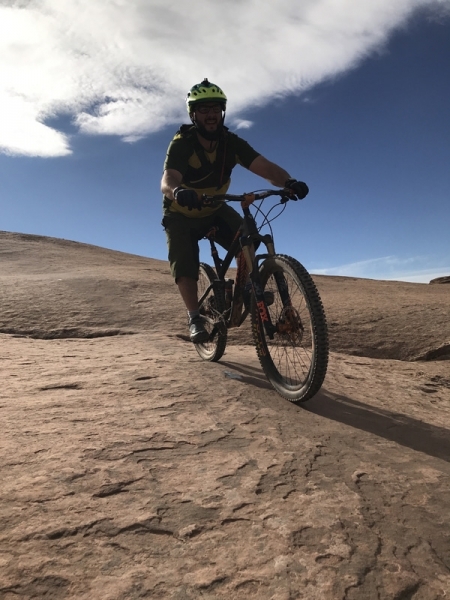 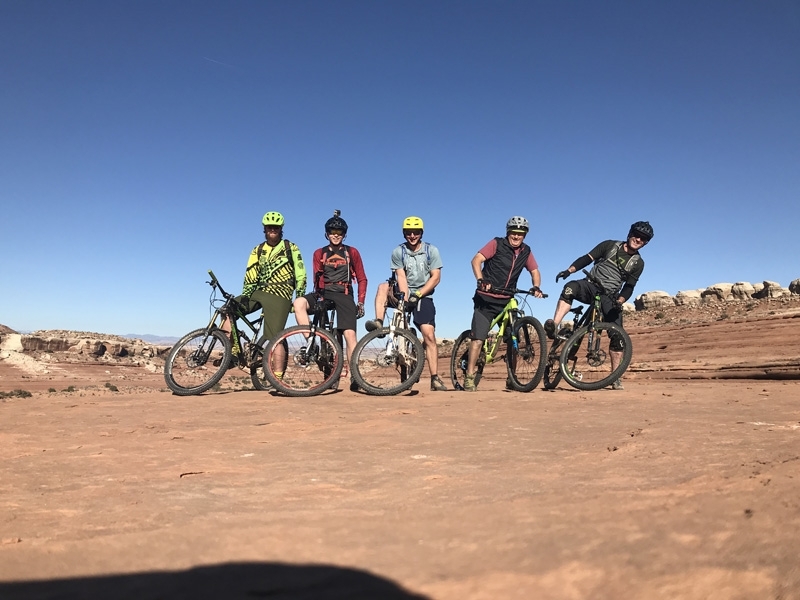 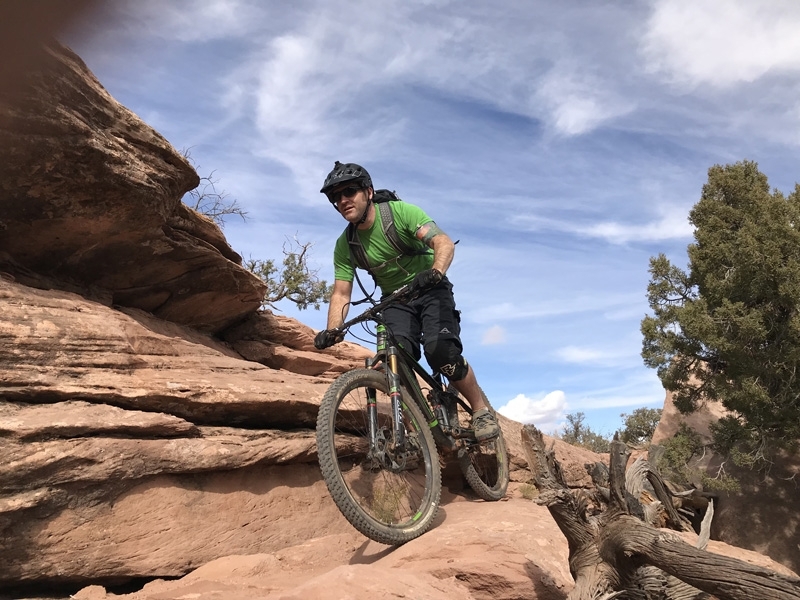 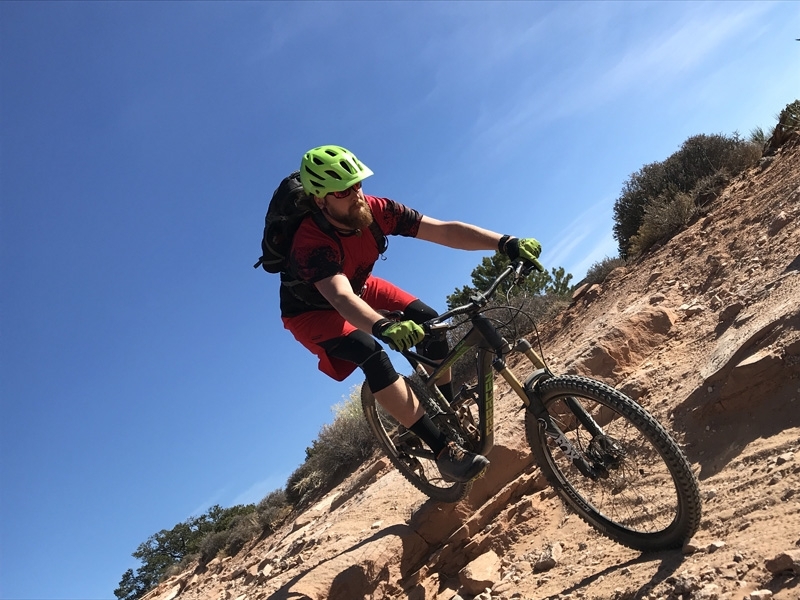 Six of us from TrekCo and from Deers Leap Bikes (TrekCo’s sister company next door) went to Moab, Utah to sample the world’s best mountain biking. 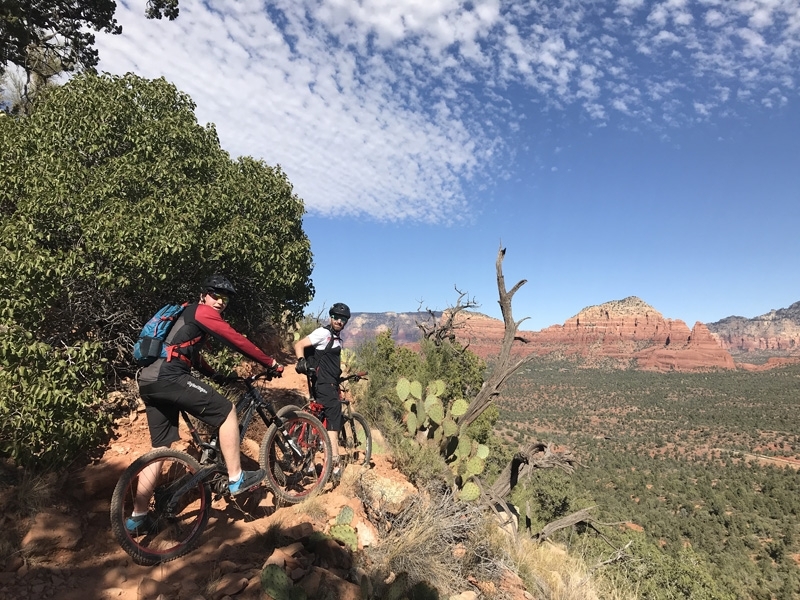 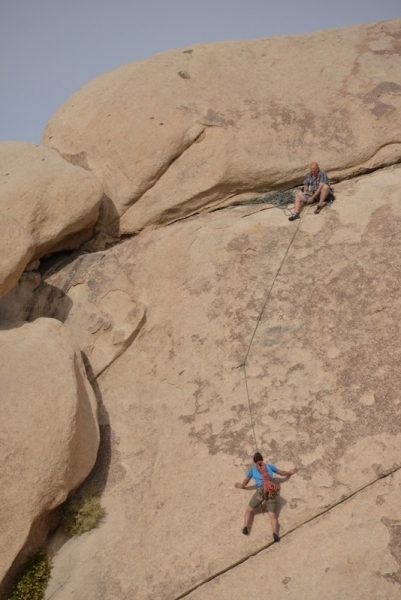 The unspeakably brilliant trails and stunning desert scenery made for a great experience. 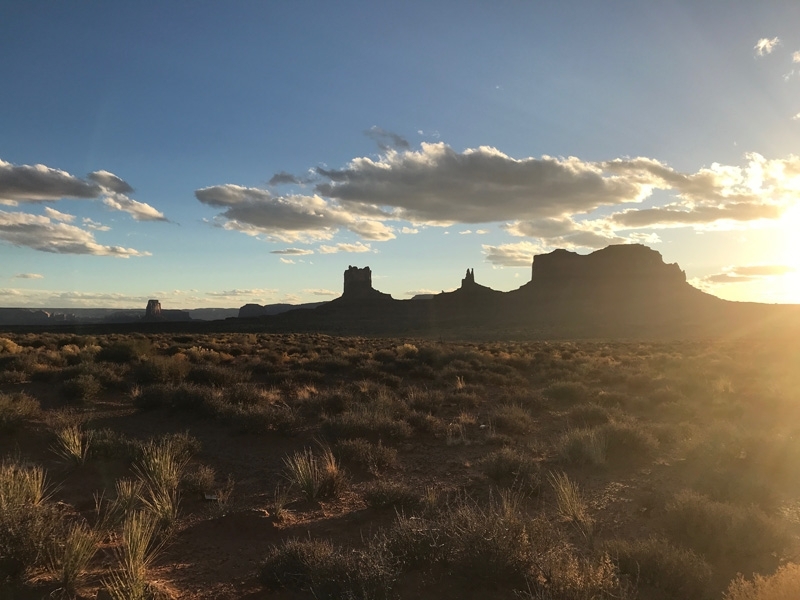 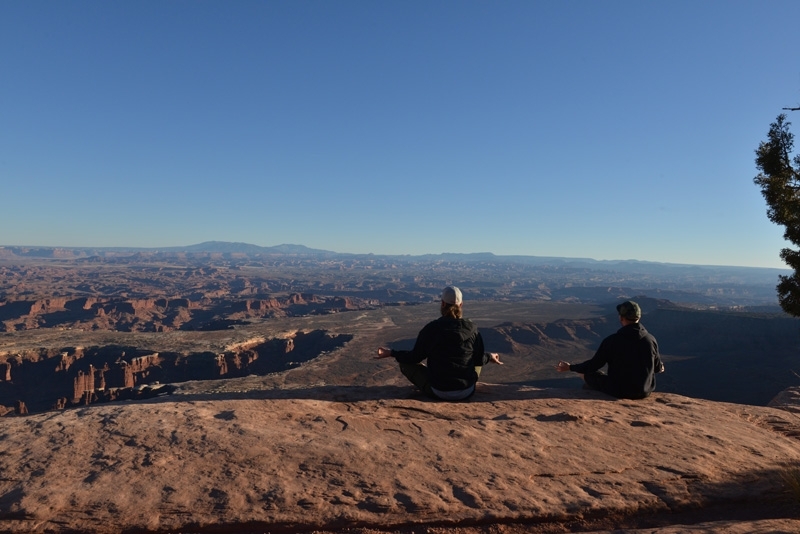 The team went to Prescott and Sedona in Arizona on the way to Moab, driving through Monument Valley and the desert. 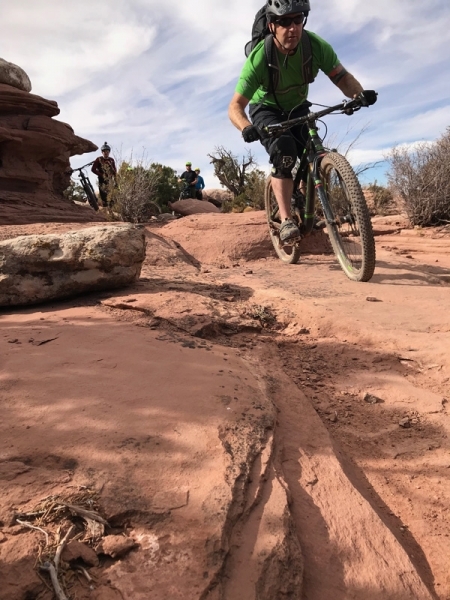 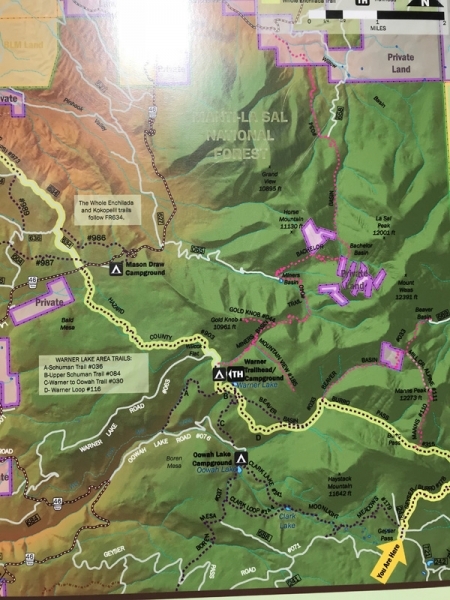 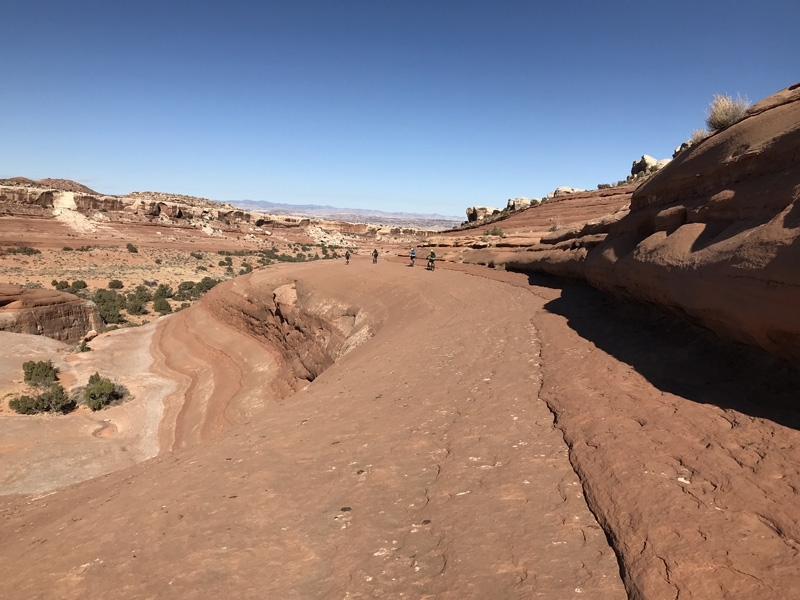 The weather was perfect for our stay in Moab, and so warm for November that the start of the world’s most famous and certainly one of the best trails, The Whole Enchilada, was open despite normally being closed for snow – as it’s at a chilly 11,500 feet (3,400m). 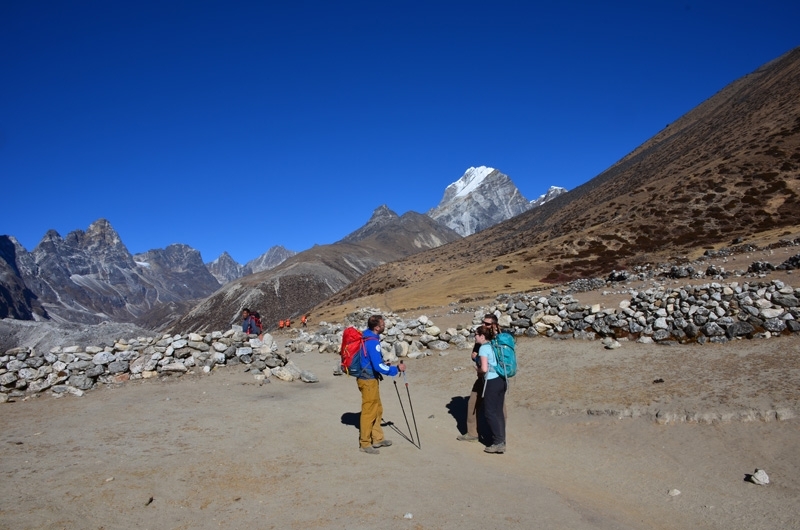 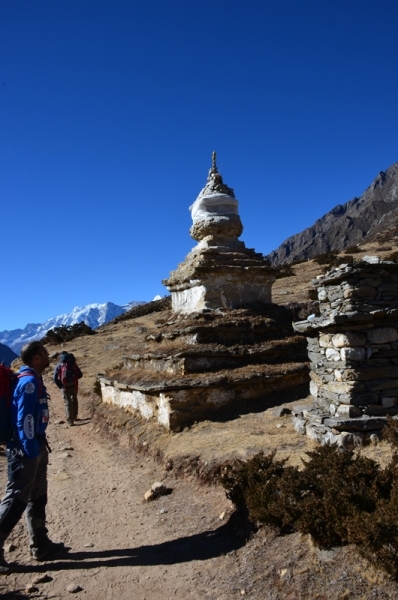 Everest Base Camp is a chilly place to be in December! 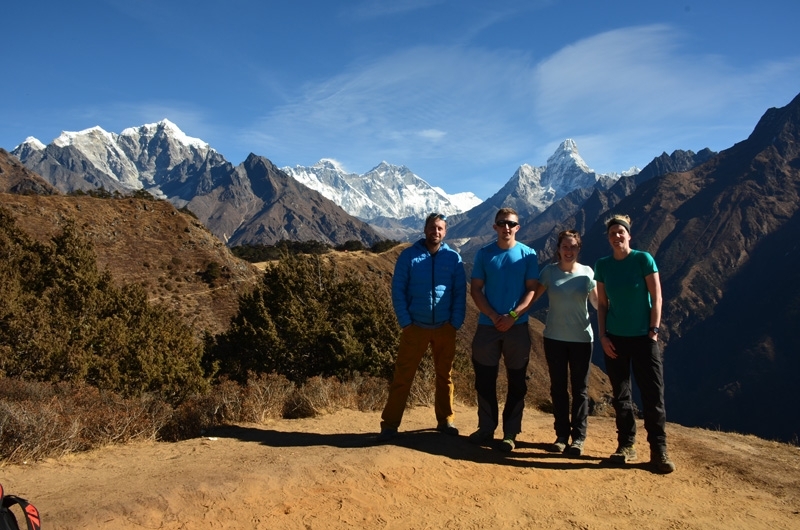 Four intrepid TrekCo instructors braved the cold and teahouses to arrive successfully at EBC in late December in great weather. 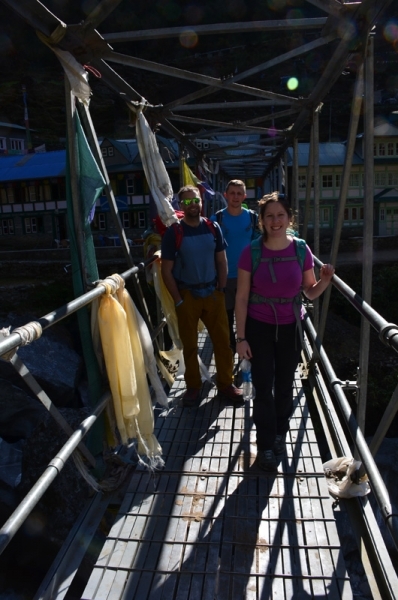 Vicky, Ross, Andy Camis and Cassie had a great trip organised by our sister company in Nepal, Climb High Himalaya. 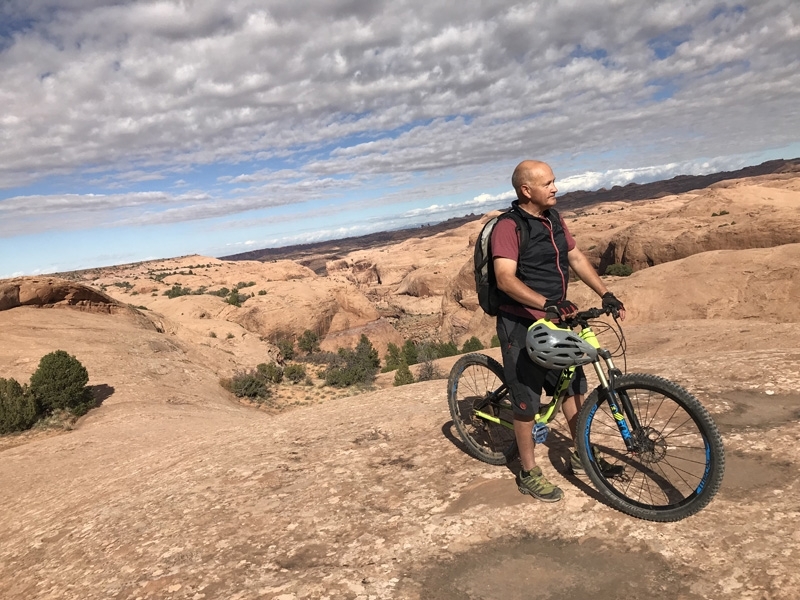 The founder of Climb High, Raj Thapa, used to work at TrekCo and his friend Abhi Rai, another Climb High guide will be known to many of you from TrekCo courses.